Hello there and welcome to the final day of the Clearly Besotted July Teasers. Don't be sad it is the last day, this means that it is release day! :D The new products release tonight at 10pm BST. I have one last teaser card to share with you today. It uses the Colour Chameleon set. It is another super cute set but can be used in lots of different ways. I started off with a piece of watercolour paper. I cut this using the ME rectangle Femme Frame die. I then took the paint stripe from the set and "inked" it up using my new Caran D'Ache Neocolor II Watersoluble Crayons (they were a birthday present). I applied the colour directly to the stamp and then sprayed it using a mini mister. I then stamped it down on to the watercolour paper, left it to set for a few seconds and then lifted up. Once I had stamped all of the stripes, I did go over with a paintbrush and water to add a little but more colour in some places. I then took one of the chameleons from the set and stamped this on to white cardstock, using black ink. I coloured him in using Copic Markers. I stamped the sentiment on to the panel and then added the chameleon above with foam tape. The panel was then added to a black A2 card base with ATG. COPIC MARKERS: Chameleon - R83, R24, YR15, Y13, YG03, YG23, B00, B16, V15. Crayon - Y17, Y15, Y13, Y11, C8, C6. 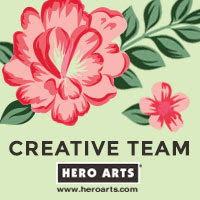 I think this set is great to send cards to your crafty and arty friends! As always, please do pop over and see Stephanie. She will be sharing the full reveal shortly, as well as having links to the rest of the DT and GDT sharing today. I will back in a little while to share my release preview video. See you then! 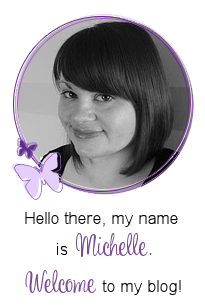 This is lovely Michelle, I really like the multi coloured chameleon. Simply stunning, those Caran D'Ache Neocolor are gorgeous and vibrant. I love this release, like I always love all the CB releases. Really cute card, Michelle! 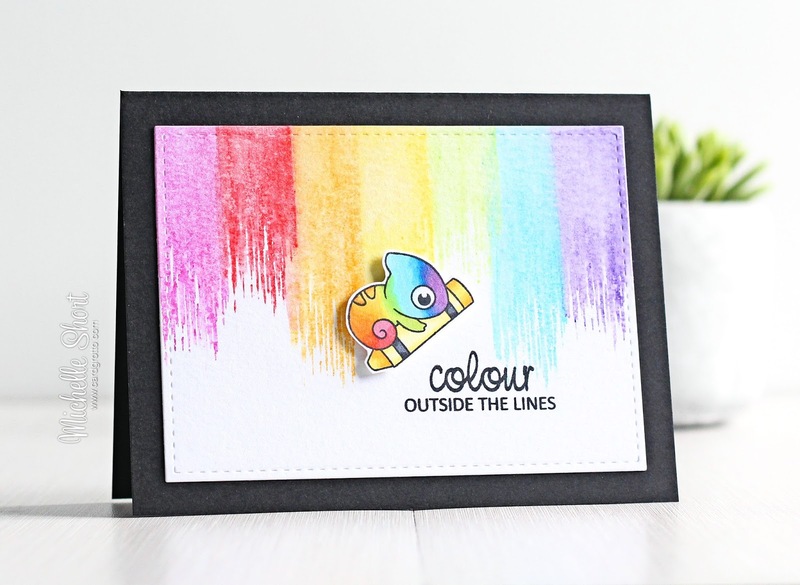 Beautiful Copic coloring, and I love how you watercolored the paint swatches...so fun! Oh I just love what you did with this little guy! The rainbow coloring is fabulous and your background is amazing too! Super card! too cute - love the little guy - and your card, too! 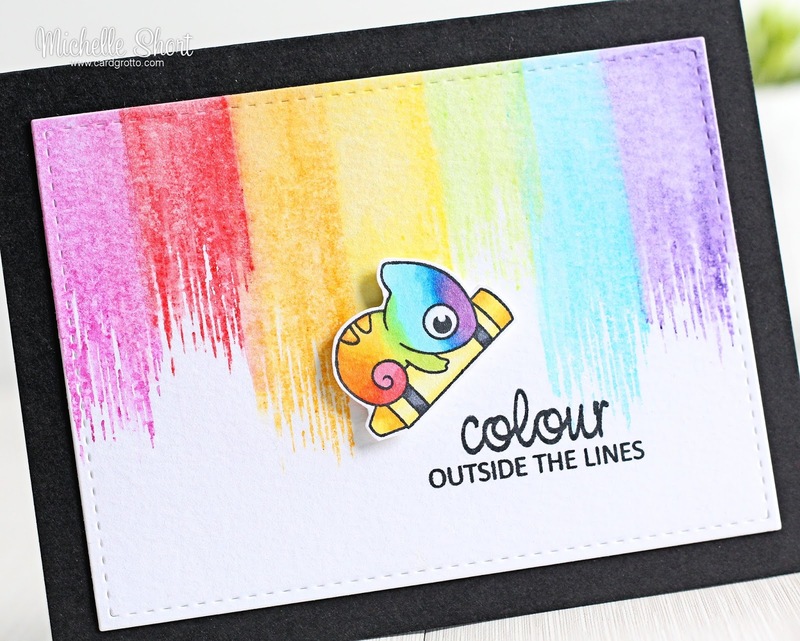 Love your rainbow chameleon critter ... such a wonderful card, Michelle! this is cool. I had to pin it so I could case it later on. thanks for sharing your talent.